84B. 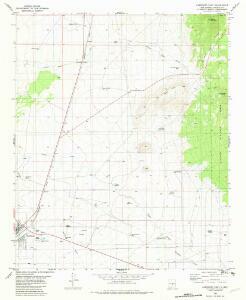 Land Classification Map Of Part Of Southern New Mexico. 1 : 253440 Wheeler, G.M. 84B. Part Of Southern New Mexico. 84. Land Classification Map Of Part Of Southwestern New Mexico. Carte de la Route qui mene depuis la Capitale de la Nouvelle Espagne. Map illustrating the disputed Boundary between the United States and Mexico. Compiled ... & drawn by G. Schroeter.